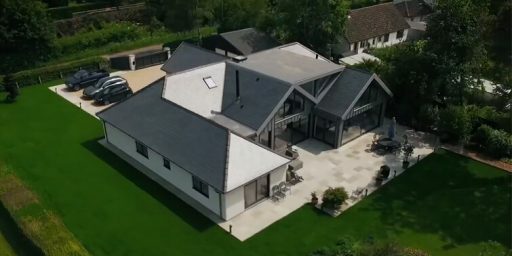 Located in Crach, in the French region of Britanny, this 164 m2 modern project, with a winter garden, was designed for being the habitual residence of a couple and hosting guests. 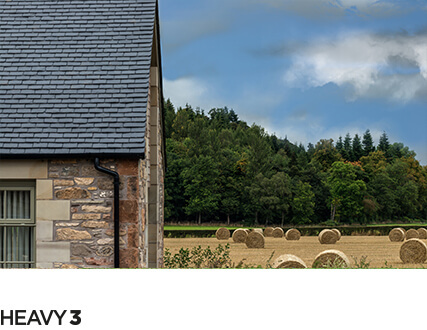 It stands out for its location and the comfort provided during all the year. 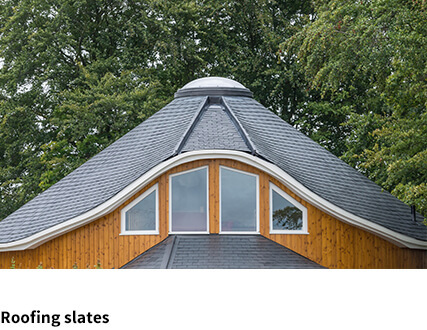 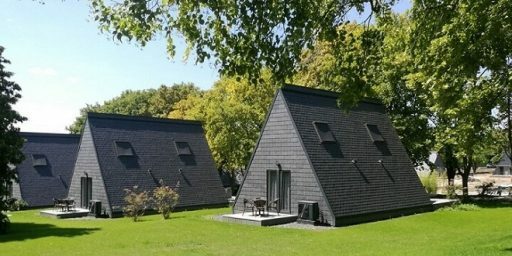 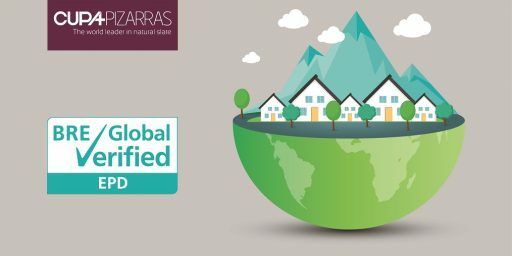 To integrate the project into the natural environment, a heritage area, where Britanny traditional buildings predominate, natural slate was the material of choice. 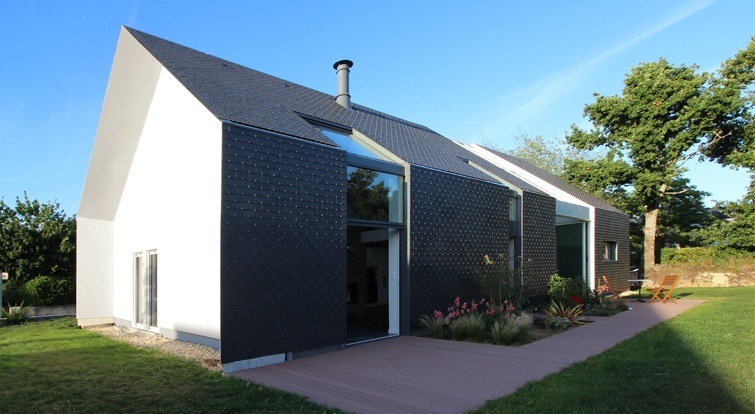 We were inspired by the single-family houses typical of Brittany. 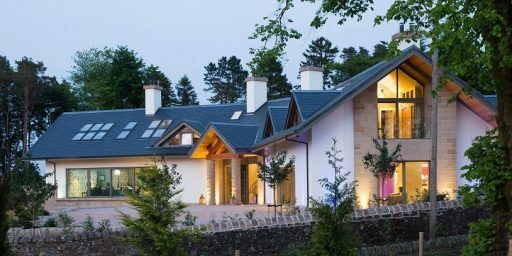 However, the materials of these ancient buildings have been reinterpreted creating a thermally efficient contemporary architecture, looking for sobriety and finesse. 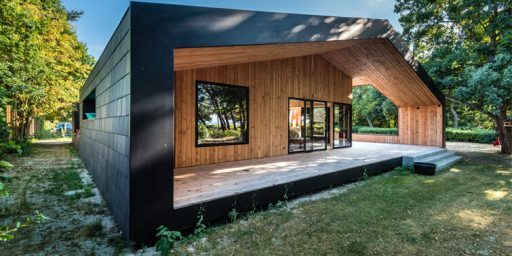 The house, with a rectangular and elongated floor plan, allows the owners to enjoy the sun and natural light to the fullest. 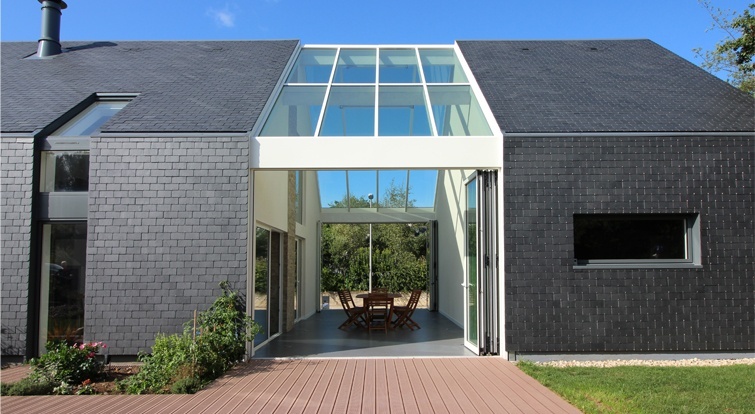 In this building scheme, construction costs were optimized focusing towards a direct connection to the winter garden, extremely versatile and pleasant at any time of year, as well as using qualitative and sustainable materials, such as natural slate. 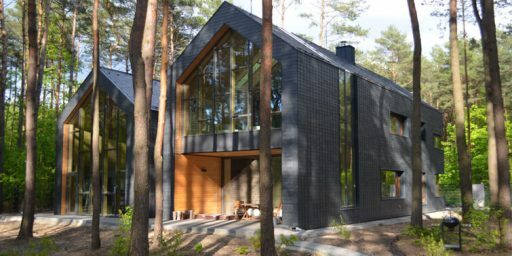 The project consists of an individual house, which includes a bathroom and an office / library space, respecting the proportions of a compact ground floor house. 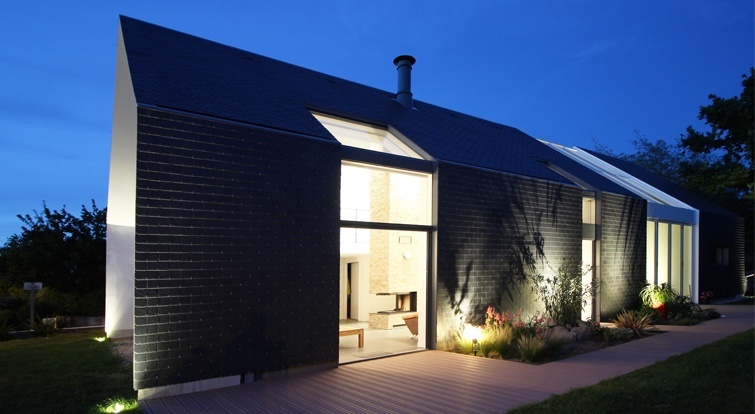 Another particularity of the project is found in the separation of the main area and the garage / workshop, and a large winter garden. 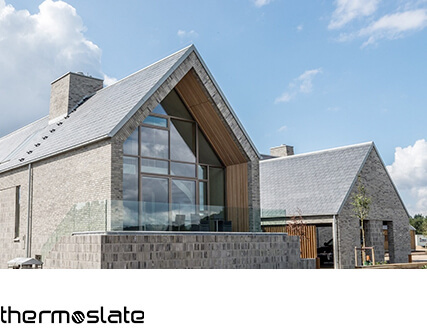 Thanks to natural slate features, the house is well protected from the local oceanic climate, assuring its energy optimization all the year. 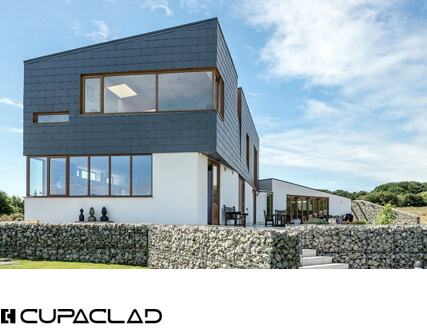 CUPA R10 Excellence, with a black and smooth texture, extracted from Las Arcas quarry, in San Pedro de Trones (northern Spain), played a key role covering the roof and the facade of this astonishing residence. 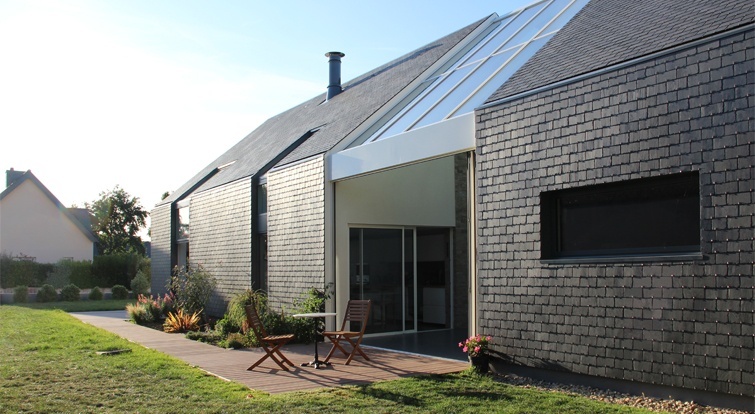 Le Buhan Le Moal (LBLM) was in charge of installing the natural slate.